You could not have asked for a more beautiful day… a fresh coat of snow everywhere but on the streets which were clear and ready for running, blue skies with the sun shining. Temperature at race time was also an ideal -4 with little if any wind… well, it is after all the day of the Chilly Half, Frosty 5k and Frigid 10k. The Hernandez and Plazas family showed up in full force, with Andres just a few seconds of all his p.b., Patricia took 1:40 off her p.b. running sub 26 for the first time, and Juan… well lets just say that this is a perfect lesson to contrast what happens when you put in consistent training and when you don’t. Capable of running a sub 24min 5k with ease, today Juan demonstrated what happens when you take a break, a prolonged break from running. Still, his time of 26:02 was 40secs faster than his prior p.b. (26:42) which shows how despite not running, the swimming and dryland training has paid off. 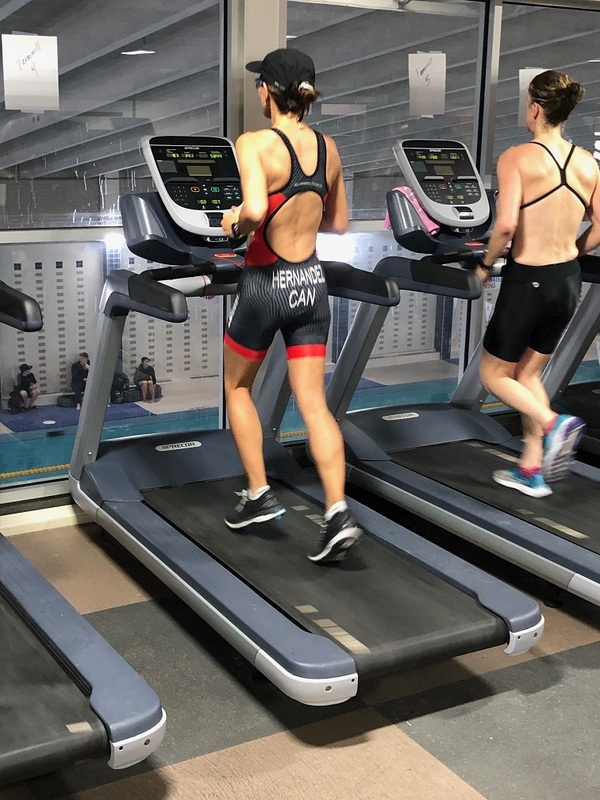 Hopefully this is the incentive needed to restart consistent running so that when triathlon season arrives… Juan will be ready to run, and run fast. Carolina ran her first 5k in many many years putting in a benchmark time to remind herself down the road where she started from, and Tom ran the Chilly 1/2 cracking the 2hr barrier. Congrats to all. Great way to open up the season with an unrested and untapered event to test training. 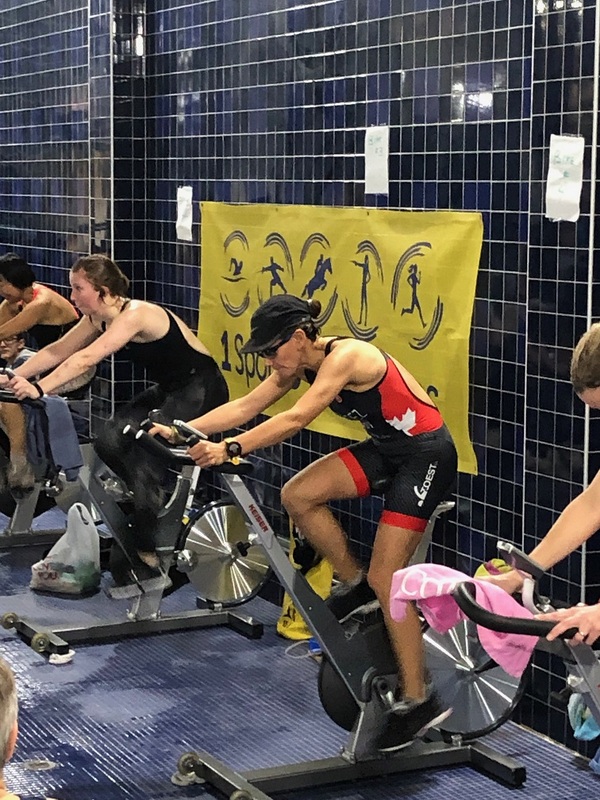 As a warmup event for Multisport Worlds in Spain, Patricia competed in Triathlon Ontario Indoor Tri series Race#2. The event was made of 15mins of each swimming, cycling and running with 5min transitions between. Distance from each segment is recorded and allocated points. Patricia put in an amazing performance with splits equivalent to her personal bests in standalone 800m swim and 5k run events and in so doing took 2nd place in the masters woman category. Nicely done! What a showing by TOEST athletes! 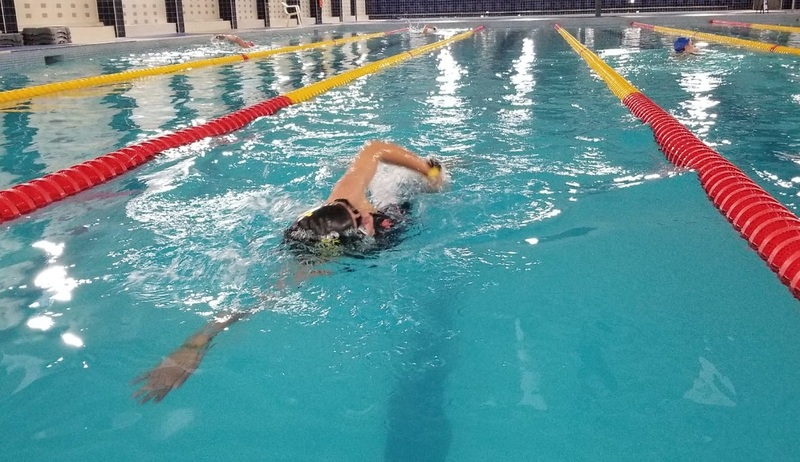 Results build as more and more TOESTees come out to swim meets to put their training to the test. With Alderwoods being a yards meet, personal bests were set as many events were first time swims for many. For Leslie & Tom with this being their 2nd and 3rd meets ever, they tested out not only new events but longer events. 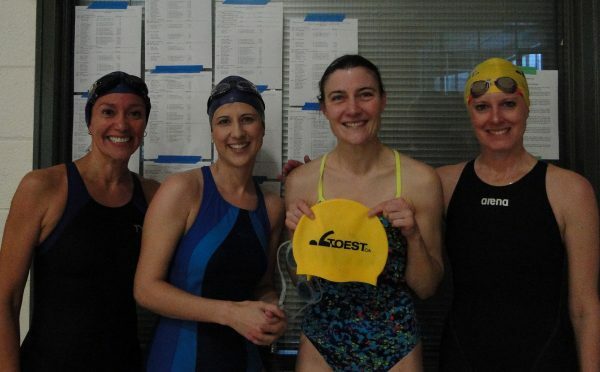 For Leslie the meet was a blow out with a personal best in the 50y BR & 50y FR and only minutes later swimming in her first relay ever – as anchor no less – Leslie reset her personal best by taking 4secs off her 50y FR time. Congratulations to all. Next stop… MSO Provincials in March. Carolina now holds records in 7 of the 18 events in the W45-49 category, including all 3 FLY records (50, 100 & 200y). What a performance Carolina, it was amazing to be part of it. 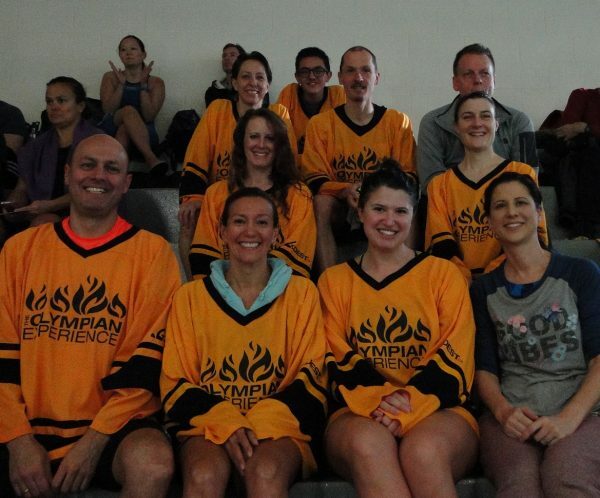 ABOVE: 4×50 (200y) Medley Relay team – Aimee (BK), Patricia (BR), Tanya (FLY), Leslie (FR); LEFT: TOESTees sporting their new team hockey jerseys. Click to enlarge either image.